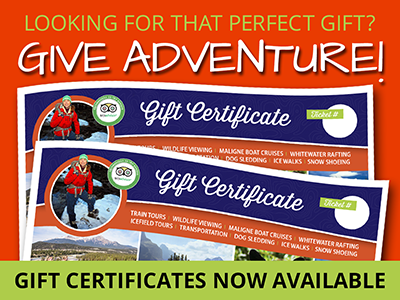 Price: $214 Adult $120 Child Combine 2 tours and save! 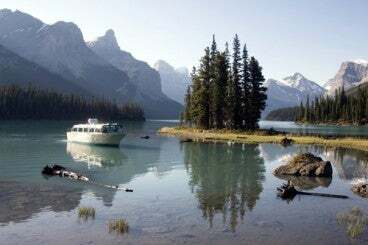 Travel beyond the beaten path and explore multiple modes of transportation to see Jasper’s natural splendor!! ALL ABOARD! 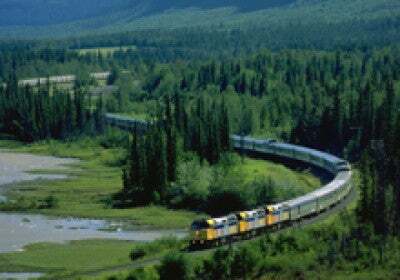 Take a little trip westward on Via Rail’s Skeena line. A 2.5 hour trip to Dunster BC. From the time you pull out of the station in Jasper until you detrain, the scenery, the wildlife will amaze you. Once our guide meets you in Dunster, you will have a guided tour back to Jasper. 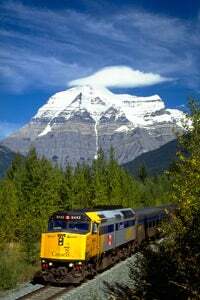 Stopping and Mount Robson, the highest peak in the Rockies, and at Rearguard Falls. Where at the right time of year you can witness the end of a long journey by the Chinook, where they have travelled upstream for 1200 km, in the Fraser River. *Due to time constraints these tours cannot be booked on same day. Multi-day selection is provided through our Book Now option. Departure: Sundays, Wednesdays, and Fridays. Pick-ups between 12:00 p.m.-12:15.pm.